Salon Suites for Rent Dallas: Why Should Stylists Get a Salon Suite? Gain Your Freedom With a Salon Suite! We all know the annoying sound of an alarm clock. Worse, we also know the feeling of detaching yourself from your bed with exhaustion still heavy on our shoulders. Working for somebody, whether it be a commercial company or a private business, means that you are at the mercy of your bosses. The managers predict the schedule, oversee your work, and ensure that you are on time and courteous to customers. As a stylist, your job is largely controlled by your managing staff. Your schedule, the amount of clients you have, and even how much you are paid is all determined by your bosses. With studio suites, you have the power to put the control of your job back in your hands. In this blog, we will be discussing why every stylist should have a salon suite of their own. Having a salon suite means that you choose when you work. That’s right! You get to call the shots and choose when you want to come in and work. This can be a huge benefit to stylists that have other hobbies, events, or even children to look after. Being able to work when you want is a great way to have control over your life and ensure that you aren’t missing out on important events. For example, if you are working at a commercial hair or nail salon, your schedule can sometimes be “written in stone.” This means, no matter how hard you try and ask for time off, you may not get your request granted. Managers don’t do this to be mean, but they cannot risk not having any staff working on that specific day. However, because your bosses can’t bear your absence on that day, that means that you will have to miss out on your plans. For parents, this can be soul-crushing, as you will have to miss out on important events of your child’s life. A salon suite gives you the opportunity to book clients when you feel like working. Instead of being at the mercy of your manager’s schedule, you can gain more control over when you work. When you work for a commercial hair salon, you don’t always get to choose who you work on. Anyone can walk through the door and if you are up, you have to work with them. That means that you might be forced to do things you don’t want to do, all because your manager has assigned you to that client. Because of this, you can become easily annoyed with clients and even become jaded about your job. With your own suite, you get to make your own client book. That means you get to work with the clients you want to work with. And, this also means you can make the parameters of people you don’t want to work with. For example, if you don’t want to cut kids’ hair anymore, you can make sure that your business model is for adults only. That’s right! You don’t have to work for clients that you don’t want to work with anymore! One of the best benefits of a salon suite is that you can have a space that is all your own. In commercial salons, all the booths are communal and are used by everyone on staff. With a salon suite for rent, you can choose how you want your space arranged and decorated. 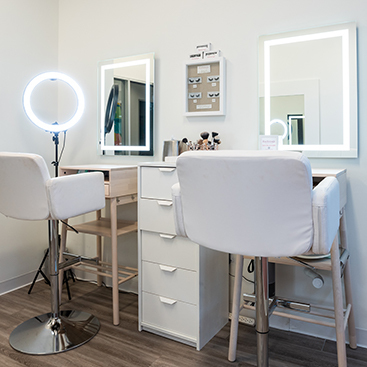 While you rent out the salon booth, you can have control over your space and where you work. Because you will be able to make the space your own, it is natural that you will feel more comfortable, and thus, make the client more comfortable as well. 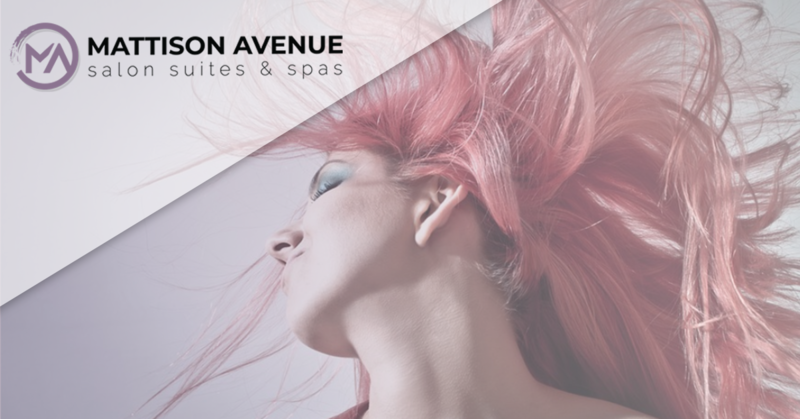 Ma Mattison Avenue Salon Suites & Spa offers salon spaces for lease. Each of our suites is expertly designed to combine both style and comfort to your workplace. 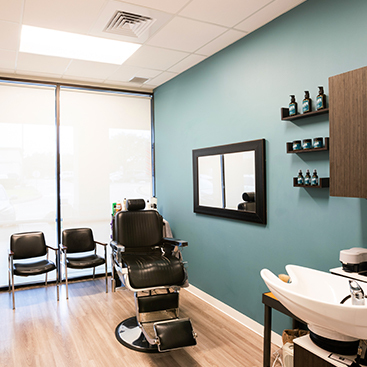 Not only are our booths decorated, but they are also fully-furnished with comfortable seating for waiting rooms, styling stations, as well as shampoo bowls and ionic hair dryers and chairs. Not only that but out salon studios also include free internet and 24/7 security systems. Feel safe and comfortable in your salon today by renting out your own salon suite. Contact Mattison Avenue Salon Suites & Spa today!